After you think about art and science in decision-making for a while, it can be addictive. I can’t even shoot arrows in my back yard without thinking about it. I’ve been doing archery for about two years now. It’s the most fun hobby I’ve ever had. I started out using a simple bow and started adding “gadgets” to it that increase accuracy. First a sight, then a “kisser,” which helps you anchor the string on your jaw the same way with each shot. Next I added a stabilizer, which is a weighted rod that protrudes forward from the bow to reduce torque. These devices improved my scores by about 20% in a short period of time. One day I was at an archery range with some 3D targets (deer, bear, turkey, etc). I tried shooting from different distances to simulate field conditions for hunting. I couldn’t hit anything until I took a few shots at each distance to find how much I needed to shoot above the fixed sight distance. Some friends of mine are “traditional” archers. They don’t use any gadgets on their bows, not even a sight. They use the “instinctive” method of shooting, where the archer simply looks at the target, draws the bow, and releases the arrow. The “aiming” occurs automatically in the brain of the archer. Of course it takes a lot of practice for the brain to learn the relationship between the hand, the eye, and the target. 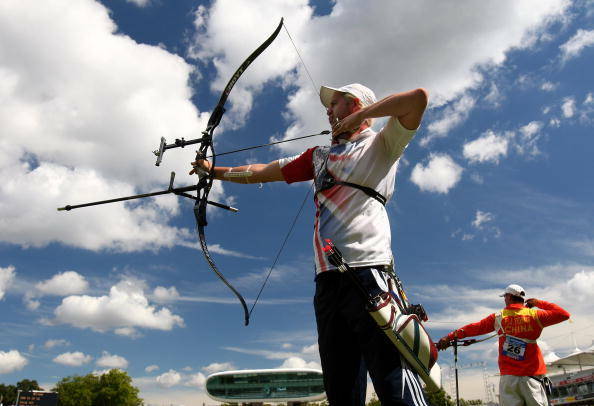 However, once these relationships are learned, the archer can consistently hit targets at different distances without consciously making adjustments. I’m now changing from the “Olympic” style of shooting with gadgets to the “traditional” style using instinctive shooting. Yep, I’m replacing science with art. In the first week of practice my groups went from about three feet in diameter to about one foot. I expect that in a month they will be back in the range of 3 to six inches, which is what I was getting with all the gadgets. That’s not to say that science is not important in archery. 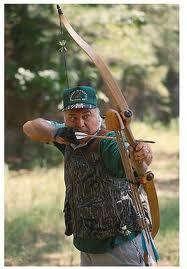 Today’s bows, strings, and arrows are dramatically different than those used by archers 10 or 20 years ago. The designs, materials, and precision manufacturing methods allow archers to be much more accurate today. It’s also true that for a fixed distance (eg 90 meters in Olympic archery) an archer with a sight and other gadgets will score higher than a traditional archer. However, a traditional archer will outshoot an Olympic-style archer in the field any day because distances are rarely the same as the settings on their sights. Companies use different blends of art and science in site selection. Some folks have become very excited about new technology for estimating sales performance of a store. They build statistical models that use a precise mix of demographic data, distance calculations, and site characteristics calibrated from historical data such as store performance and customer transaction data. These models can be very accurate when the proposed site is very similar to sites that are represented in the historical data. However, if the proposed site is different (sometimes even slightly), all bets are off. It’s times like this when decision-makers wish that they had spent more time developing their “instincts” than building mathematical models. A well-known traditional archer tells the story of his first deer taken with a bow. He had been practicing a lot at a distance of around 20 yards before he went hunting. He came to a field and saw a deer that he estimated was around 20 yards away. 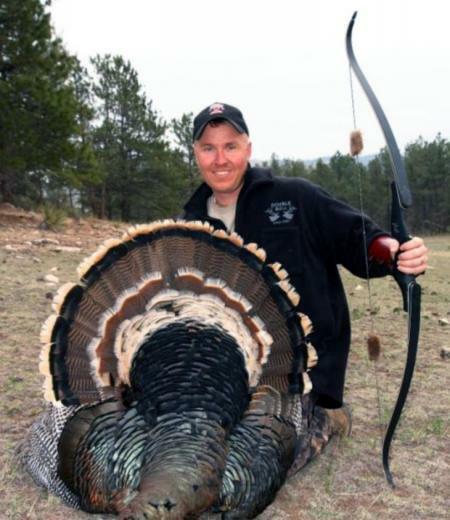 He drew his bow and fired a perfect shot to take down the deer. Out of curiosity he measured the distance of the shot: it was 37 yards! If he was shooting with a sight, the arrow would have gone into the ground below the deer. How often do new locations look like deals we’ve done before? 95% of the time? 80%? 50%? How do we adjust our evaluation process when the situation is different? Today’s technology in site selection is MUCH better than 5 or 10 years ago. The quality of mapping tools, demographic data, business location data, and the availability of customer transaction data have dramatically improved our ability to make better decisions. What are we doing to improve our “instincts” in evaluating sites in a complex world that is always showing us a slightly different situation than before?